Organize and show off your wine collection with the Countertop Wine Rack Organizer by mDesign. 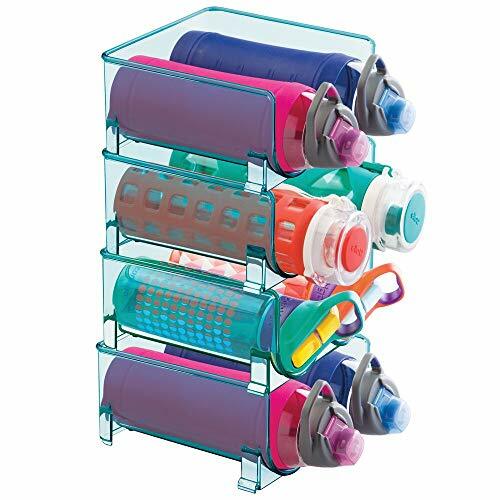 Each rack holds up to 2 bottles of your favorite wine or bottled drink. The stackable design lets you create vertical, space-saving storage on kitchen counters for instant access or in the fridge for perfectly chilled drinks. Curved compartments keep each bottle separate and organized, while the open tops make it easy to grab a bottle right when you need it.